Townend is a traditional Lake District stone and slate farmhouse in the Troutbeck Valley full of quirky objects and fascinating stories. The Brownes of Townend were just an ordinary farming family: but their home and belongings bring to life more than 400 years of extraordinary stories. 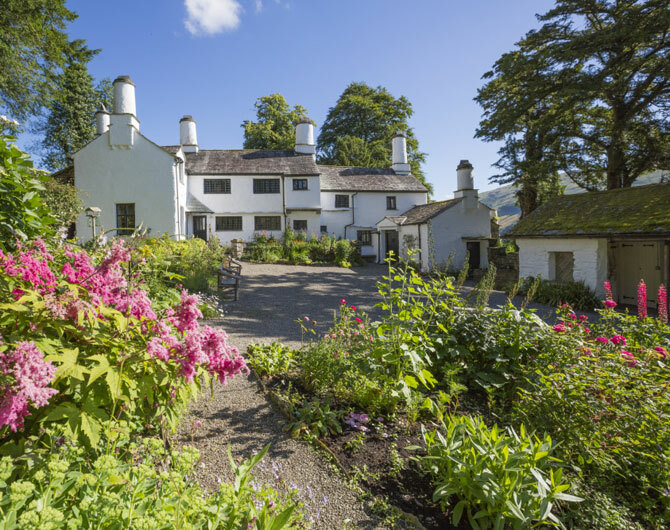 As you approach Townend you’ll understand why Beatrix Potter described Troutbeck valley as her favourite. The colourful cottage style garden, with historic plant varieties and fruit trees, is a lovely place to while away some time among the flowers. As you come inside, you are welcomed into the farmhouse kitchen with a real fire – burning most afternoons – and a quirky collection of domestic tools. Throughout the house, intricately carved furniture provides a window into the personality of George Browne. The library contains the family’s well-used collection of books, including 45 that are the only remaining copies in the world. See website for detailed opening times.